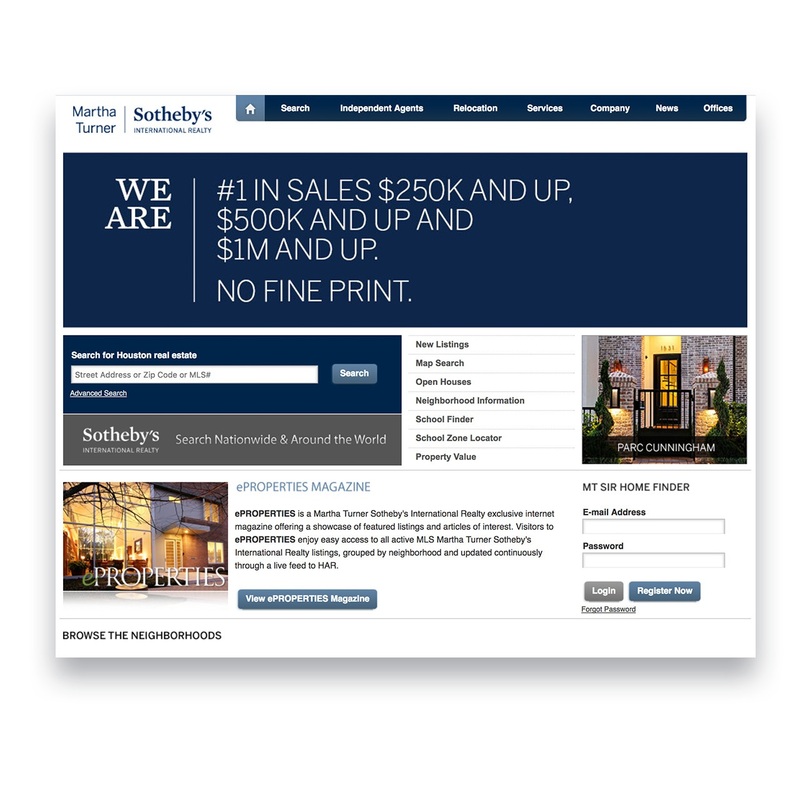 Martha Turner Sotheby’s International Realty is the number one luxury real estate company in Houston and enjoys both national and international acclaim. Because its success depends on staying top-of-mind within its target audience, the company needed a marketing campaign that would consistently generate brand awareness and affinity in the greater Houston area. 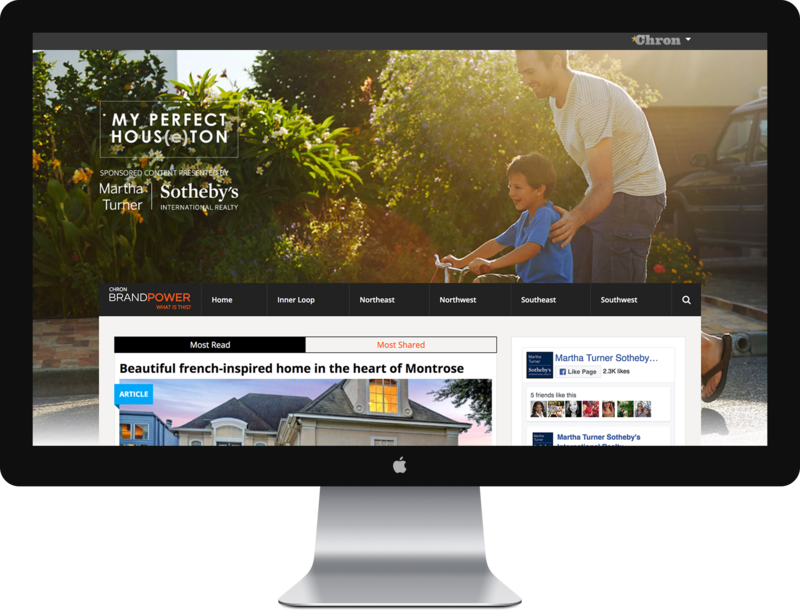 Using a mixture of paid media tactics and custom content creation, Amuse increased total page views for the Martha Turner Sotheby’s website and built an online experience that embodied the company’s expertise in Houston and the luxury space. As a luxury brand with national and international clout, Martha Turner Sotheby’s International Realty wanted to stay tied closely to its Houston roots while also portraying its global luxury expertise. The company came to Amuse for help in keeping the legacy, luxury brand top-of-mind for Houstonian homebuyers. Our team knew that simply driving traffic to Martha Turner’s website was not enough to continually build and enhance the company’s brand; it needed a strong online experience that could speak to the brand values and also be leveraged as a traffic driver. To that end, the team created an online content hub called My Perfect Hous(e)ton, featuring custom content and supported by paid social media. 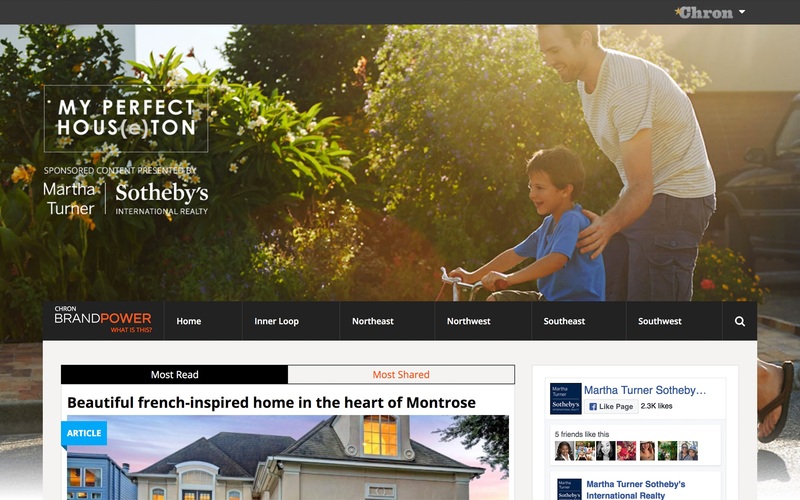 All content had a local focus, with each month highlighting a different Houston neighborhood in which Martha Turner buys and sells luxury homes. Whenever possible, the team incorporated CTAs that drove readers to the Martha Turner website. 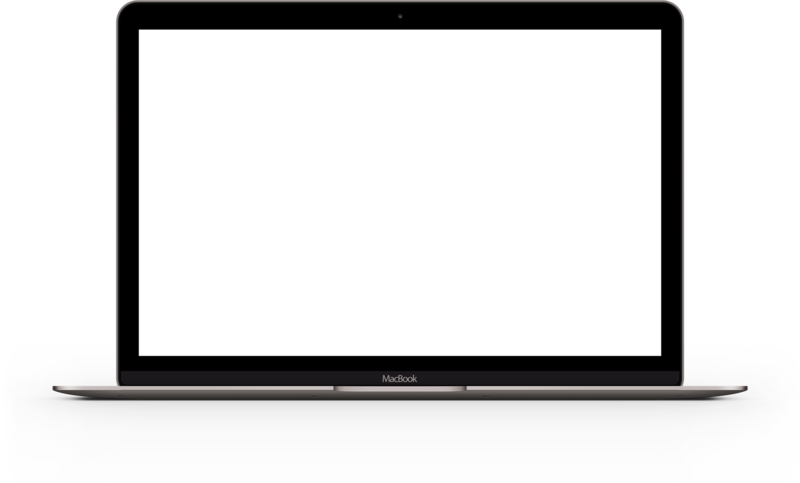 Careful to maintain a consistent brand voice highlighting local luxury, the Amuse team created content perfectly tailored for social sharing and binge-reading on the hub. Leveraging its unique relationship with one of the nation’s top newspapers, Amuse built the content hub within the Houston Chronicle’s Chron.com. 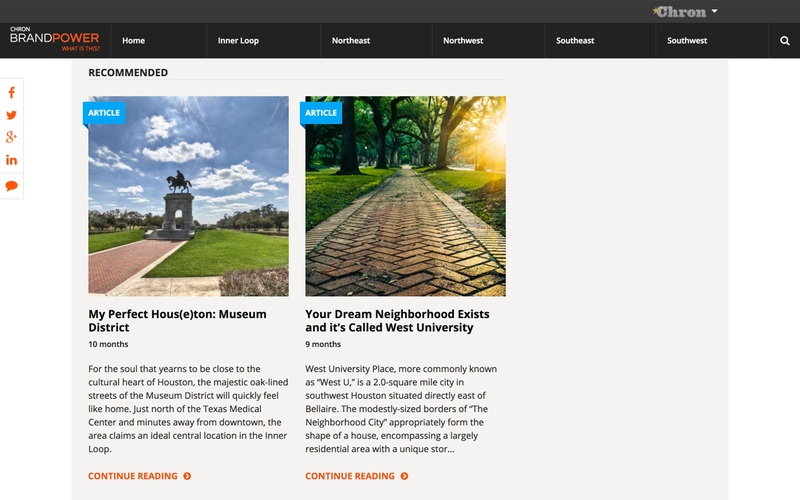 This allowed the hub to include high-quality photo galleries alongside written content that ranged from listicles about hot spots in Houston, long-form articles on the history and culture of the neighborhoods, and interactive quizzes. 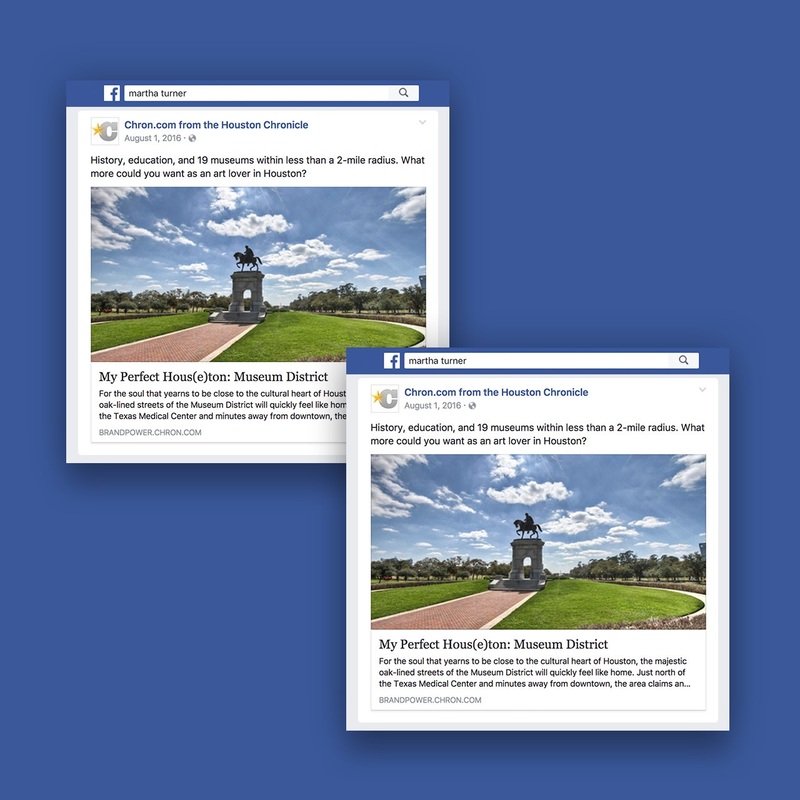 Amuse leveraged the large, engaged audience of a trustworthy third-party organization by disseminating the hub’s content as promoted posts from the Chron.com Facebook page. 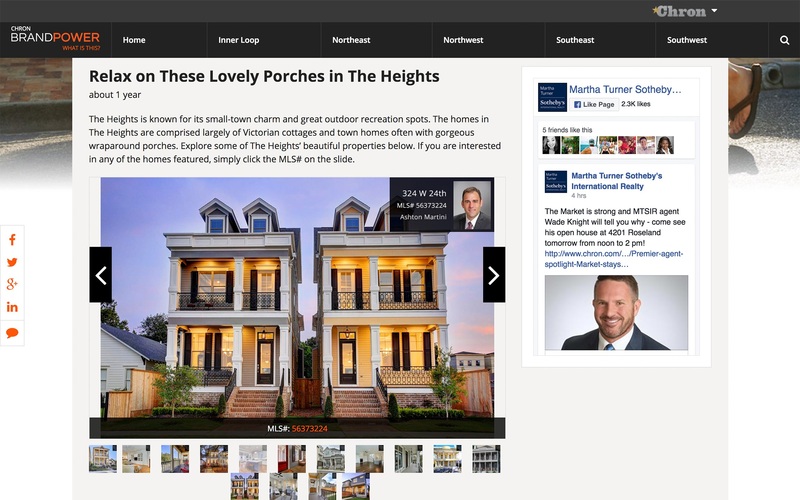 The reach of each article, gallery, and quiz was further increased by boosting posts to a custom audience refined with data about Martha Turner customers.